Fan modification from SHINE can improve your fan assembly designs, reduce project costs, and enhance product quality and performance. Here at our manufacturing center in Adams, Massachusetts, we combine experienced electro-mechanical assembly with top-notch engineering support. A fan modification or fan mod improves upon an existing fan assembly. Product designers pursue fan mods for a variety of reasons, including noise or voltage reduction. Fan modifications that change the bill of materials (BOM) can also help manufacturers to realize cost savings. For example, plastic fan shrouds are generally less expensive than metal ones. SHINE can modify your fan assembly to meet your specific requirements. The types of fans that we can modify include CPU cooling fans for computers and blower fans for industrial equipment. As an experienced manufacturer of electro-mechanical assemblies, SHINE understands your application requirements and can support your larger product designs. 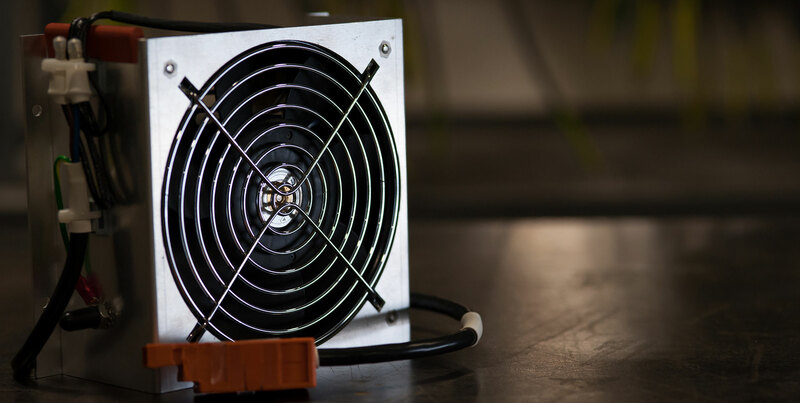 Fan modification services from SHINE can include the replacement of cooling fans, fan motors, cooling fan shrouds, rubber parts, metal fasteners, wires, cables, or connectors. As part of our fan modification services, we provide engineering support such as design assistance and component sourcing. We can also keep your new fan assembly components in stock, and then use them to meet your demand. SHINE is an ISO 9001:2015-certified contract manufacturer specializing in custom cable assembly, wire harnessing, and electro-mechanical assembly. Since 1984, we’ve been providing partners with wire and cable products that exceed their expectations. How can we help you? Contact us for more information about fan modification. Do you need custom cable assembly, wire harnessing, or electro-mechanical assembly services? Are you looking for engineering support, too? SHINE is ready to help. SHINE is an Massachusetts-incorporated, ISO 9001:2015 registered company with automated tooling, a highly-trained workforce, and a commitment to your success. SHINE will be exhibiting at the New England Design 2 Parts show in Marlboro Ma September 26-27th. Booth 250. Copyright 2019 SHINE | All Rights Reserved.